At the beginning of the year the European milk market was deregulated. As expected the industry is now in crisis. French farmers, not just dairy producers, but livestock farmers in general (beef and pork) have been blockading tourist attractions, processing plants and major routes in northern France. In our area I know of protests in Poitiers, Tours, Chambord, Montbazon, Obterre, Joué les Tours and Sainte Maure de Touraine. A dairy herd near Preuilly. There is a pile of barn sweepings and a hand painted sign that says 'Mangez Française' on the roundabout as you enter Sainte Maure on the D910. In the early hours of Monday morning a couple of weeks ago Simon and I were awoken by the crashing and banging of several dozen tractors, trailers and trucks rushing through town. Nobody seems to know what was going on. They might have been racing to get the harvest in before rain, but I have a suspicion these were local farmers either on their way to a protest or on their way back. Several of the vehicles stopped at the bottom of our street for some minutes but I don't know what they were doing. A dairy herd near Charnizay. There are lots of issues which swirl around to complicate primary production here. Farmers' representatives criticise Germany, where 100 000 cow dairy herds are allowed and until recently there was no minimum wage for farm workers (who often worked as day labourers with no contract as well). Here in France there is a minimum wage and social charges. The largest herd in the country is a highly controversial 796 animals. This one farm must be taking advantage of a loophole because herds are limited to 500 cows by law here. 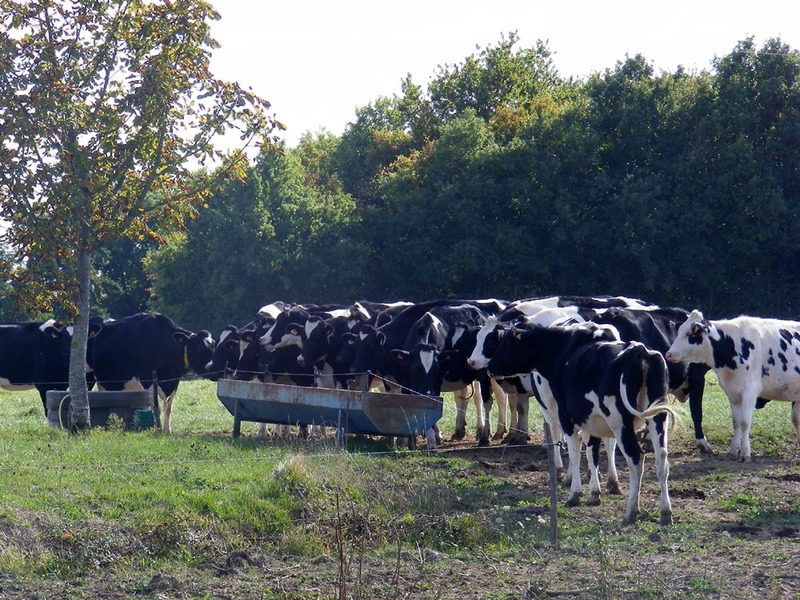 Farming in France is largely small scale, family run and cows graze outdoors. They cannot compete with industrial farms which keep the cattle in stalls 24/24. The senator for Camembert in Normandy, obviously a constituency with a large dairy contingent, calls German industrial and commercial practices 'industrial dumping'. And the EU/US 'free trade' agreement currently being negotiated will only exacerbate the problem. The senator also pointed out that the food industry network currently consists of too many intermediaries (who all need their cut) and not enough abbatoirs (so animals have to be transported several hundred kilometres to slaughter rather than just down the road). 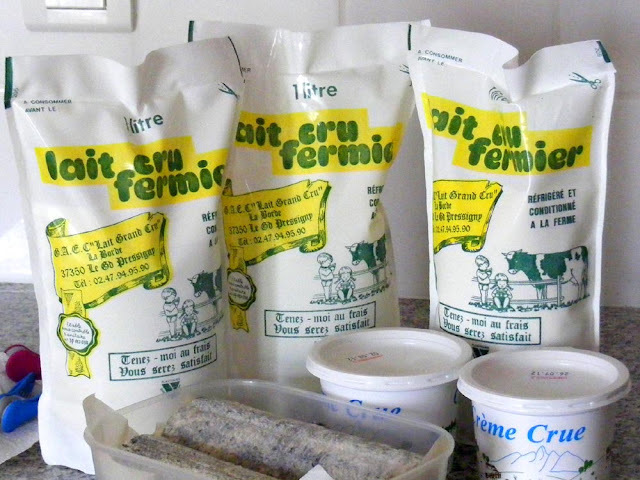 Raw milk delivered to my door by a dairy farmer from a few kilometres away. In addition, the supermarkets drive prices down. The Chinese are producing more and more milk domestically and not importing so much. One of the major French supermarkets has switched from French beef to Irish beef. Russia has embargoed EU products. It's a case of the industrial economic model versus the peasant small farm model. Industrial farms concentrate subsidies. 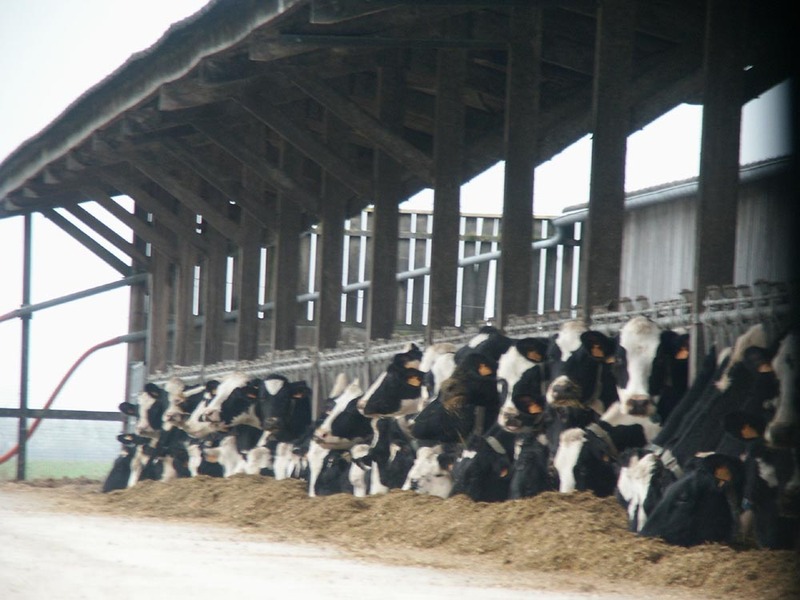 The government focuses too much on export, which is only 10% of the dairy sector worldwide. Charolais beef cattle near Preuilly. 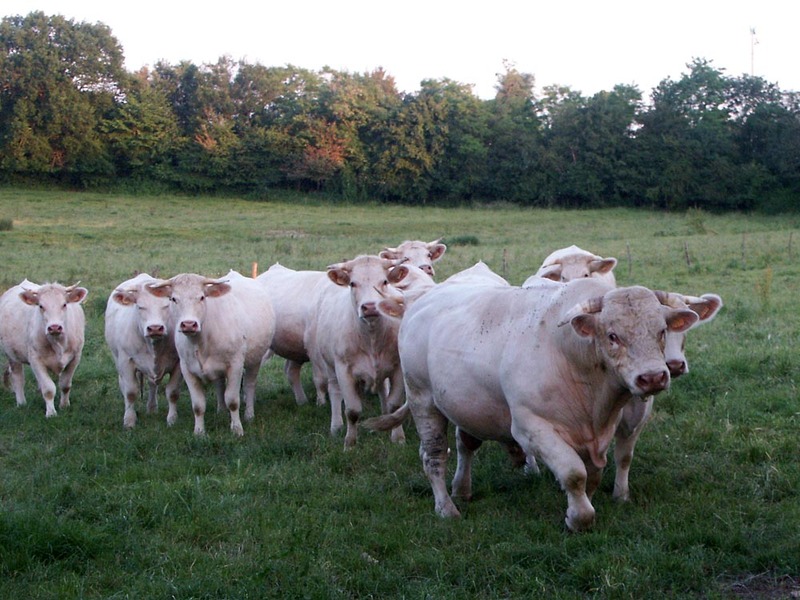 Charolais is the commonest beef breed in France. 500 farmers committed suicide last year in France, a higher number of deaths than in any other sector. One farmer's representative I saw interviewed pointed out that the direction of subsidies was a matter of political will. She observed that actors are subsidised in France, but the system is stacked against the small livestock farmer. She also suggested that it doesn't have to be the farmers who are directly subsidised. Consumers can be subsidised in ways that can help farmers. The Common Agricultural Policy (CAP) was 'reformed' 2 years ago, but nothing much changed. The subsidies still go to the big producers, not to small scale farmers and not to those producing vegetables (ahem...I assume this is a round about way of saying that cereal producers get the bulk of the subsidies). 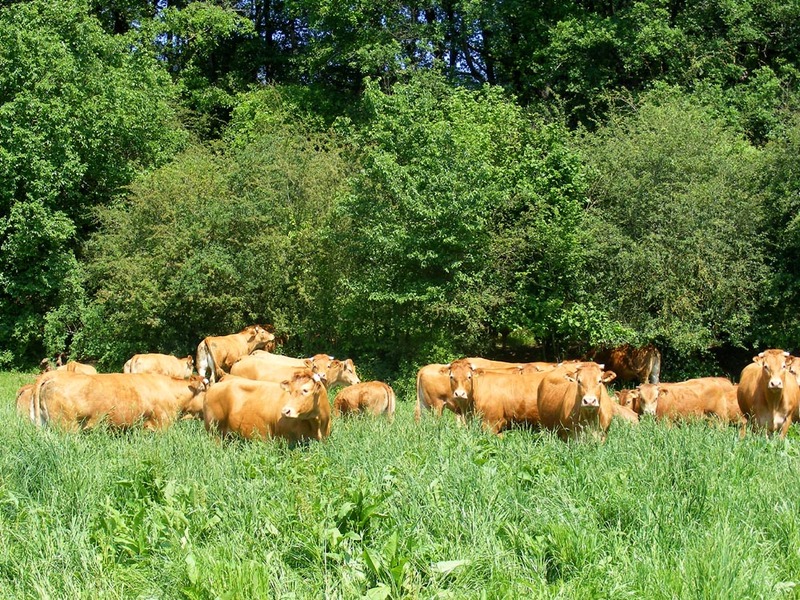 Limousin beef cattle near Chaumussay. 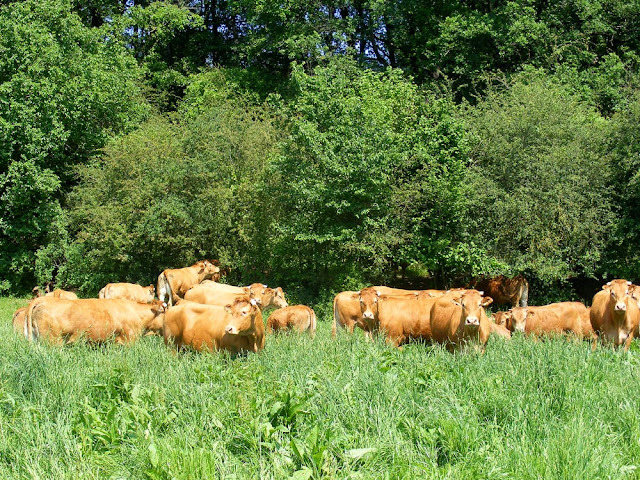 Limousin is the second most common beef breed in France and the one most commonly raised in the Touraine. Nevertheless, one former dairy farmer I saw interviewed said that he made the decision a few years ago to switch his production to legumes. He now grows peas and lentils and makes more out of 1 ha of land than he made from the entire farm when it was a dairy. Home cured pork ready to be cooked. Retailers are favoured by government policy in order to boost consumerism. On the other hand, it is widely believed that we pay too little for food. Consumer spending on food has dropped from 40% of the household budget to 15%. There are many overheads in primary production that consumers are blissfully unaware of, and many pork and dairy farmers are getting less than the cost of production for their pork and milk. After several days of shifting blockades Manuel Valls, the Prime Minister, called on abbatoirs and processors to be good chaps and pay the farmers a bit more. I assume there followed the noise of raspberries reverberating throughout France, from both sides concerned. On Wednesday 22 July the Agriculture Minister Stéphane le Foll announced a €600M emergency aid fund. Its purpose is to allow French livestock farmers to delay their tax payments and restructure their debt. Most farmers think it is a drop in the ocean and the protests continued. So what do I think? I think there will be a painful adjustment of the industry to bring about a better match of supply and demand. I also think that consumers need to pay a bit more for milk and meat (just a few cents per litre or kilo) in return for that price increase being passed on by supermarkets and processors to the farmers. I think supermarkets need to be honest about where their milk and meat comes from and that they should have local buyers who are enabled to do business in an ethically and sustainable way. I think consumers should have the opportunity of buying locally and be encouraged to do so. I also think some farmers should start value adding and producing artisanal dairy lines. Others could go out of dairy altogether and start raising rabbits for meat, grow soft fruit or adjist horses (or whatever...). I'm inclined to discourage ploughing up cattle pasture to grow peas because open grassland is a disappearing resource. Keep the grassland, make hay with it if you no longer have grazing animals. Diversify, encourage farm visits and stays, network and form partnerships (if you don't want to make cheese, find someone who does). Swap the cows for goats or sheep. Contented young pigs at a local piggery. It seems to me that it is actually the pig farmers who have fewest choices. They could follow the lead of Peter Gott or Jimmy Doherty in England, creating a respected and quality brand for their own value added product, but in fact this is already widely done in France. 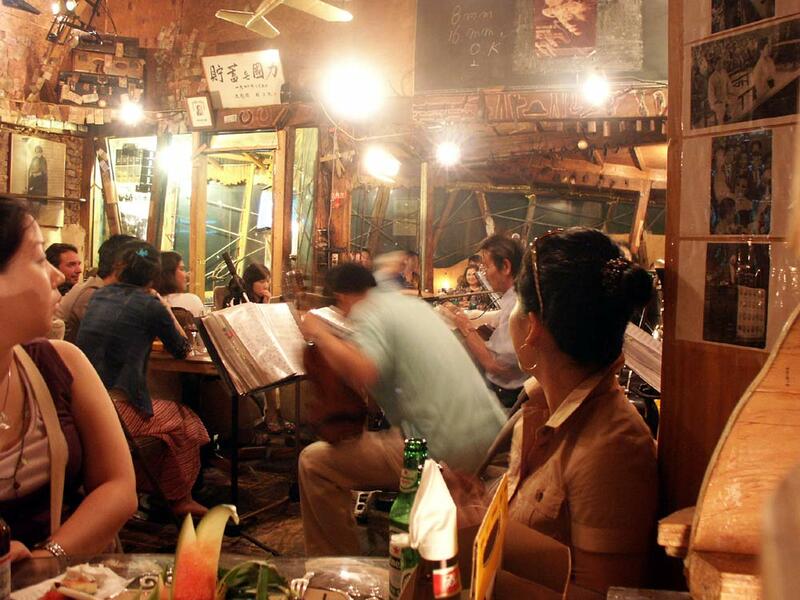 Curiously it is the fresh pork market that tends not to be pursued. My butcher tells me that his supplier, a small abbatoir that works with a group of carefully selected pig farmers, cannot meet the demand for good quality fresh pork and is seeking at least 30 more producers in the area. One option, as is favoured by the Midi-Pyrenées producers, is to go down the route of Label Rouge certification (a respected and valued 'brand' in France). 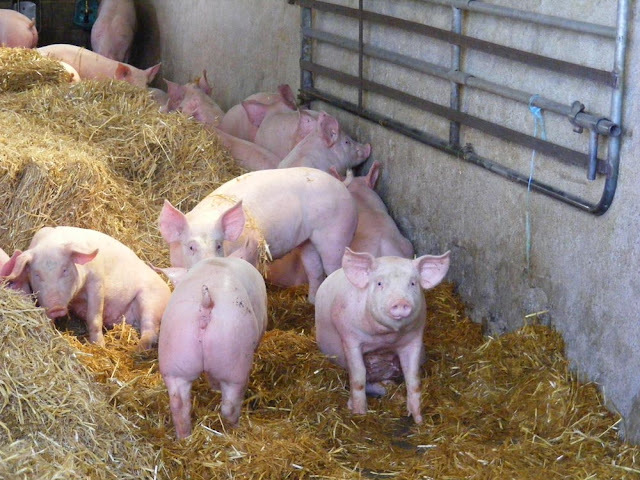 They could diversify into other livestock or arable, but many pig farmers have already done so. The number of pig farms has already decreased by two thirds in the past few decades. There isn't any more wriggle room. One way or another it is important that farms are not abandoned, or subsumed by the big industrial outfits. Those farmers who have already established a local market will survive. Those that rely on supplying big processors and supermarkets are in for a really rocky time. I frequently meet young men and women who have a dream to be farmers. They don't necessarily come from a farming background and the one thing they all say is that finding affordable land and raising the capital to start is very difficult. The ones who manage to set it up work incredibly hard to establish and maintain the dream. In the main they are not fools, they are switched on and networked, and they recognise that the farm is a business as well as a philosophical choice. Some of that €600M should be funnelled towards them in my opinion, and a generational shift should be encouraged. A la cuisine hier: Since my friend Ingrid was so kind (!) as to give me a zucchini weighing 3 kg (!!) I am endeavouring to use it up. Yesterday half of it went in Cheesy Baked Zucchini Noodle Casserole, which was pronounced quite good. For the clandestine cake club this week we had to cook "novelty cakes". 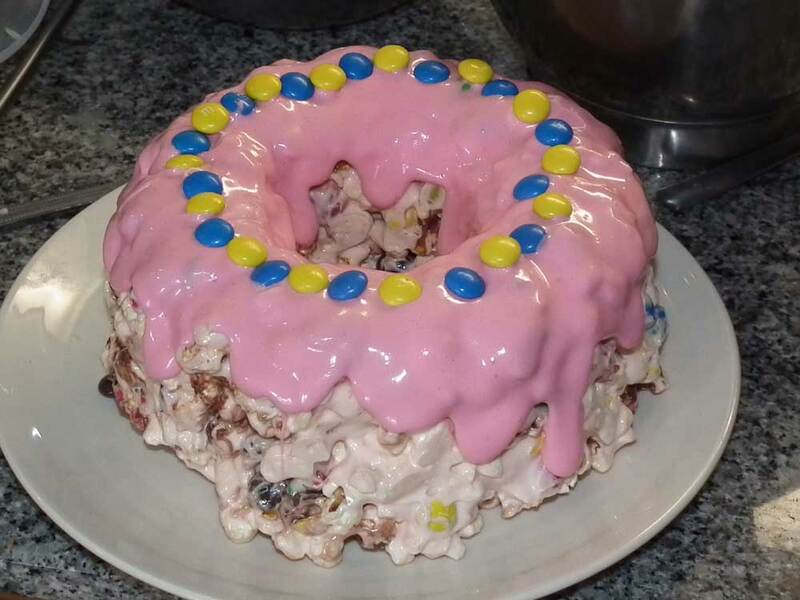 After thinking about piñata cakes, novel tea cakes, and chilli and chocolate cakes I settled on a popcorn cake. As you do. This is possibly the only cake for which you could buy all of the ingredients at a cinema snack stand: Marshmallow, popcorn, smarties (or M＆Ms) and jellybeans. What's more, there is no oven involved. 1 cup M＆Ms (chocolate, not the peanut ones) or smarties. 1 packet jellybeans or the like. If you can get acidic ones it might help. 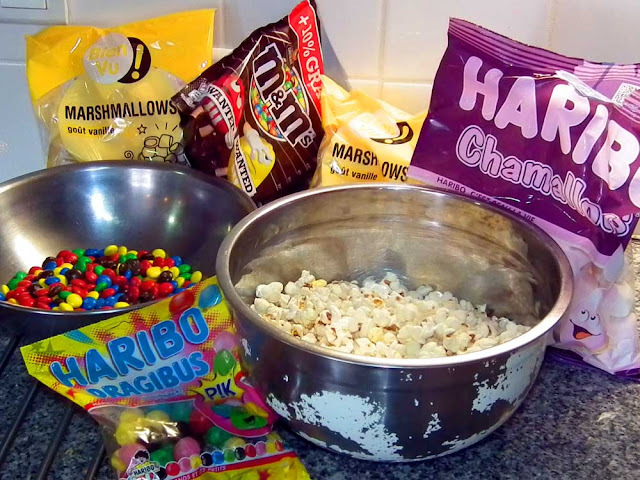 Mix the popcorn, M＆Ms and jelly beans. Oil a bundt pan (I used a silicon bundt pan, oiled with a very little sunflower oil), then press the mixture into it whilst still warm. Stick that in the fridge. Leave it. 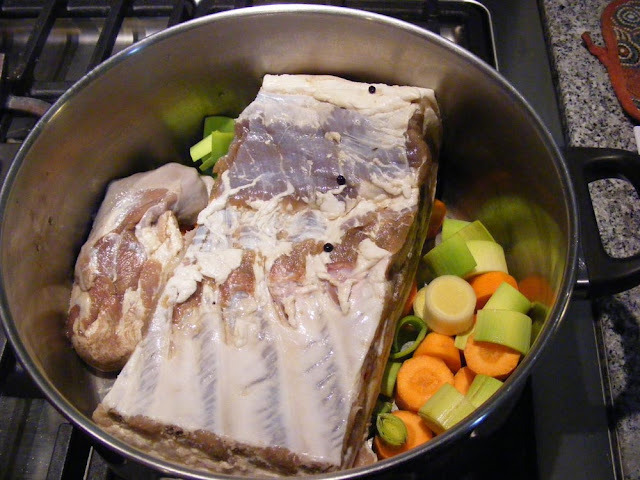 Once it has set (a couple of hours will do fine), turn it out onto a plate. To ice it, take another 100g of marshmallows and a little knob of butter, and stick them in a dish in the microwave oven at half power for a minute or so. Stir until smooth, and if you wish, add colouring. 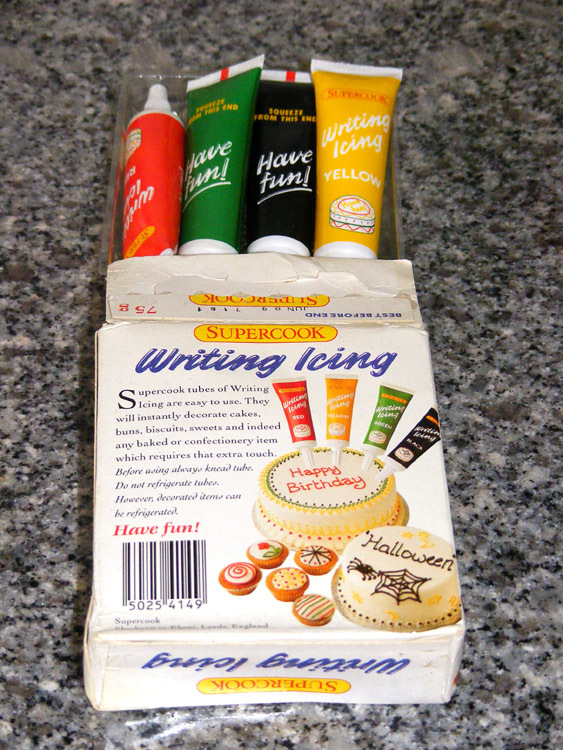 Spread this goo over the top, decorate with excess M＆Ms and voila! The icing is really sticky, but also very shiny - and it stays where it is put! This is one solid cake, and you don't need much: my estimate is that it would do for 40 people assuming they didn't channel their inner 5 year old too much. Domaine Maison Père et fils is the largest winery in the Cheverny AOC. It's just outside of Sambin. Like many wineries here, they see themselves as farmers, not a tourist attraction, so the wine is produced in a large corrugated iron shed next to the house. In one corner of the shed is a small bar and that's where you go to taste the wine before purchasing. We parked Claudette in the shade of a pechier des vignes, right in front of the vines. The young winemaker, who had drawn the short straw on a very hot day, emerged from the longère which serves as farmhouse and office to conduct our tasting session. We tasted Révelation, their white sauvignon/chardonnay blend, the rosé, which is a blend of Pineau d'Aunis, gamay and cabernet franc, and a red pinot noir / gamay / côt (malbec) blend. I really liked the white, which has an unexpected and astonishingly powerful floral tropical fruity nose (certainly a surprise, if not exactly a revelation...). The rosé is an interesting salmon pink colour, and I'm always happy to drink a Pineau d'Aunis rosé. They do a crémant de Loire as well, but we decided against tasting it. The day we visited bottling was in full swing, so the place was fairly noisy with clattering bottles. If you want to visit this winery I suggest making an appointment by telephone (they probably won't respond to email). They will ask you if you are a particulier (ie a private individual, as opposed to a wine professional or someone from the tourist industry) Neither of the people I spoke to spoke English. My guess is that they have someone on the team who does though -- the English on their website is fairly good. They don't charge for a private tasting for one or two couples who arrive by car. Travelling with Wine: Recently we met Bénédicte and Paul, a young couple who run Lazenne, a specialist business supplying wine packaging and luggage to individual travellers. Paul was born in Poland but grew up in Canada. He came to Lyon to study, met Bénédicte, who is French, and never went back. We liked them a lot, and their product, and will be referring clients to them and taking delivery of their products on behalf of clients. They've written a very handy instruction leaflet for bringing wine home from your travels internationally, pointing out that it is perfectly possible to inexpensively bring several boxes of wine for personal use through customs if you want to. Their products range from polystyrene forms to hold bottles, with or without wheeled luggage cases, to self inflating bottle bags, and they are listening to customers all the time and bringing in new lines (stick on strap handles, no-sweat icepacks, etc). We think they've spotted a real gap in the market, because curiously, this sort of product didn't seem to exist in France before. We belong to the Loire Valley Clandestine Cake Club. The next gathering of the faithful is tomorrow afternoon and the theme is novelty cakes. Bewdy mate we thought! We can do that, we've got all the gear. No worries. Can't remember when we last used it, but she'll be right. Célestine has a Facebook account, something that will come as no surprise to anyone who is a facebook friend. Sometimes we see something new on there, or someone will post something that stirs a thought. 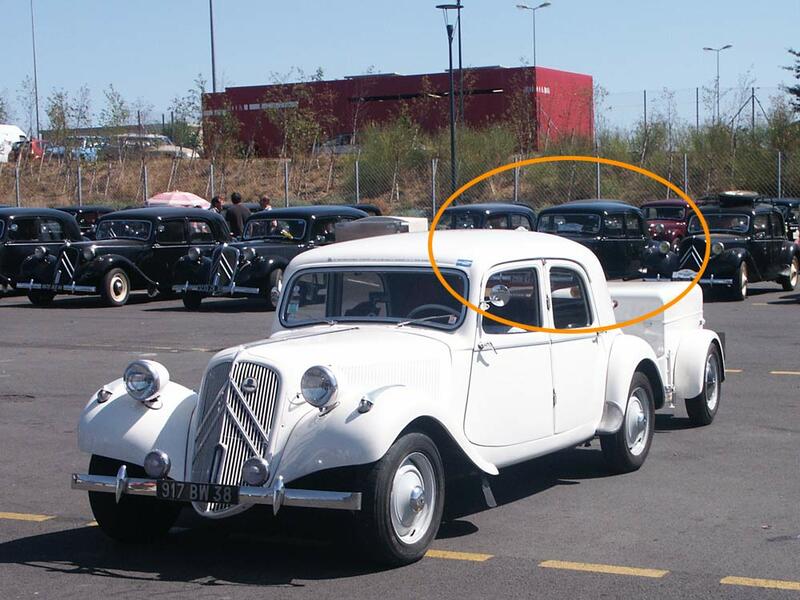 Anyhows: Claudette's previous owner posted a photo of her at Eurocitro 2009, and that got me to thinking - did we also take a photo of Claudette before we knew her? We knew she had been there, she still sports the sticker. After some detective work, I found her - but can you? No prizes if you can, but you are allowed to feel 6/10s smug (and if you can't she's here). 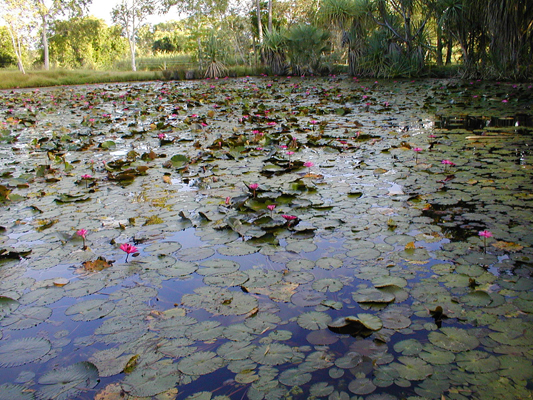 I photographed this lily pond somewhere in the tropical part of Australia's Northern Territory in 2006. Katherine I think. 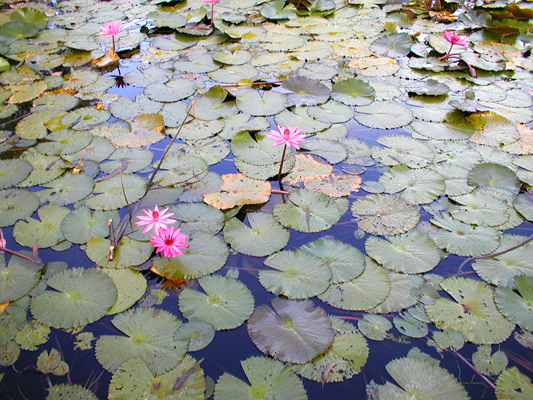 I don't think the waterlilies are native species. 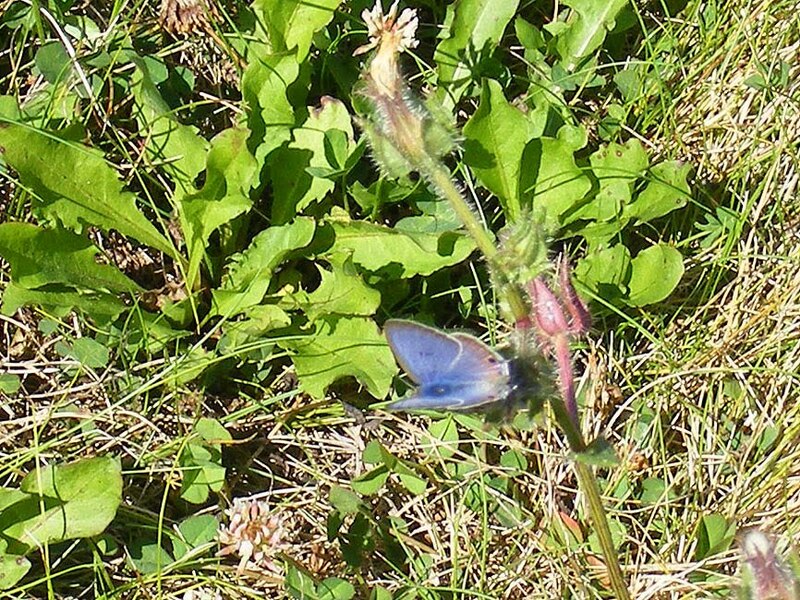 On 19 July I was picking nectarines in the orchard and a blue butterfly caught my attention. That's a blue butterfly in the sense of a member of the Polyommatinae subfamily of butterflies, which are known by enthusiasts as 'the blues' since most members of the group are blue. This particularly butterfly wasn't especially blue. More a sort of grey mousey brown. It was moving very quickly and the weather was breezy, but my impression was that it was fairly large (for a blue) and something different. Long-tailed Blue photographed in the orchard on 19 July. It helps that I only usually get two species of blue in the orchard -- Provencal Short-tailed Blue Everes alcetas, which is tiny, and Common Blue Polyommatus icarus, which is generally medium-sized, but varies quite a bit in size and underside colour. This grey brown butterfly looked a little bigger, and didn't seem to have a strong pattern of spots on the underside. Occasionally I get something different pass through the orchard, and I had an inkling I'd seen this species once before a few years ago. In fact, I'd been wondering if I'd see any this year, with the weather being so extraordinarily warm and dry. As I suspected, it turned out to be a Long-tailed Blue Lampides boeticus. This is a more or less cosmopolitan species, the only butterfly that I get here that I could also have got where I lived in Australia. Although it is quite abundant in the south of France records further north are becoming increasingly rare and depend on migration patterns which differ every year in response to environmental conditions. 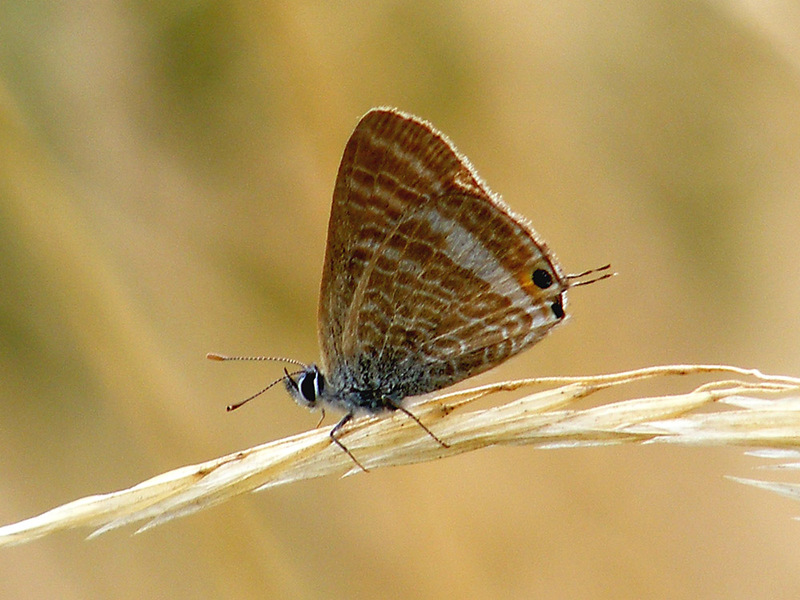 A male Long-tailed Blue I photographed in the orchard in September 2010, the only other time I have seen this species. The orchard and potager are perfect habitat for it, and they will use a variety of pea family plants as caterpillar hosts. Broad-leaved Everlasting Pea Lathyrus latifolia, Garden Pea Pisum sativum, Green Bean Phaseolus vulgaris and Alfalfa Medicago sativa are all known host plants and all abundant in or near the orchard. Although I only got photos of one individual I think there was at least one other flitting about. I am surprised that it doesn't seem to establish itself in the Touraine Loire Valley, but perhaps it is too wet or cold over winter. 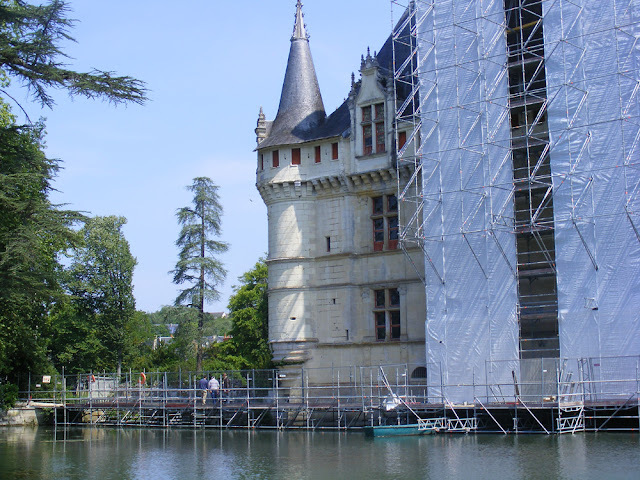 For the current major conservation work at the Chateau of Azay le Rideau, the Centre des Monuments Nationaux (CMN) has appointed local firms. 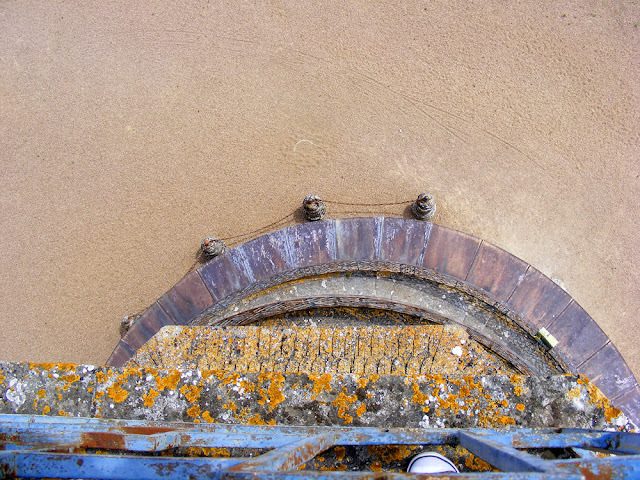 They include Hory-Chauvelin (stone cutting, scaffolding, masonry, plastering and tiling) from Avoine, the Rolland-Réau group (stone treatment, sculpture) from Montlouis and the joinery Guérin Brothers from Pouzay. The first two have worked together on previous heritage conservation projects such as the Hôtel Gouin in Tours. Of the 9 contracts 6 have been won by local Tourangeaux firms. 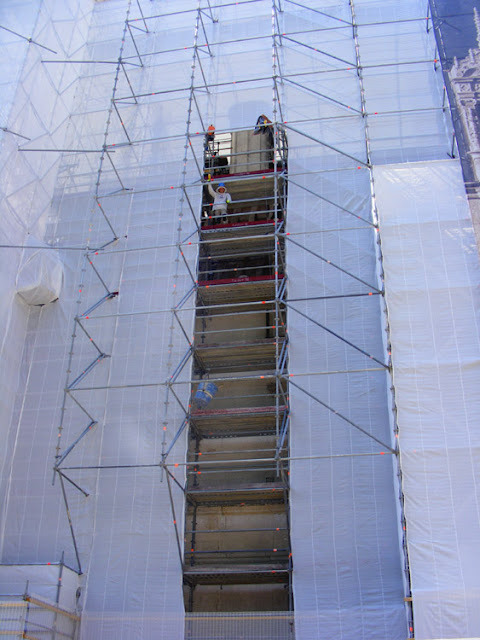 Openings in the screen allow materials to be hoisted up and visitors to get a glimpse of the work behind. Chrystelle Laurent, the senior curator, is at pains to point out that this is not parochialism, but because they are the best. 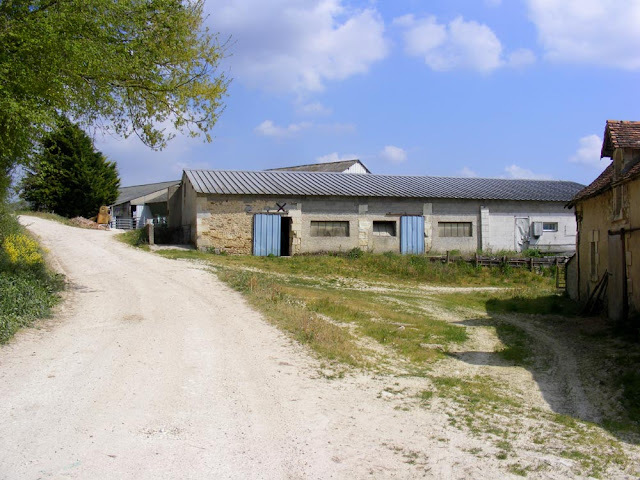 The Touraine is a land of abundant limestone and therefore has a high concentration of masons and other expert artisans, so the choice is extensive. The CMN wants the work to be a showcase of the local skills with a level of excellence that is reknowned world wide. The mirror pond that the chateau sits in creates logistical problems, solved by a raised platform created to gain access to the works from the rear of the building. Like Olivier Rolland, a sculpture conservator from Montlouis, many of the conservators and artisans have put their expertise to the test at the most prestigious heritage sites in France. Versailles, the Louvre and Chenonceau have all benefitted from the skills of these little known artisans who work in the background, unacknowledged except by fellow heritage professionals. They run businesses to be sure, but they also work for the prestige of gaining a contract such as at Azay. They are excited by the project and love the chateau. 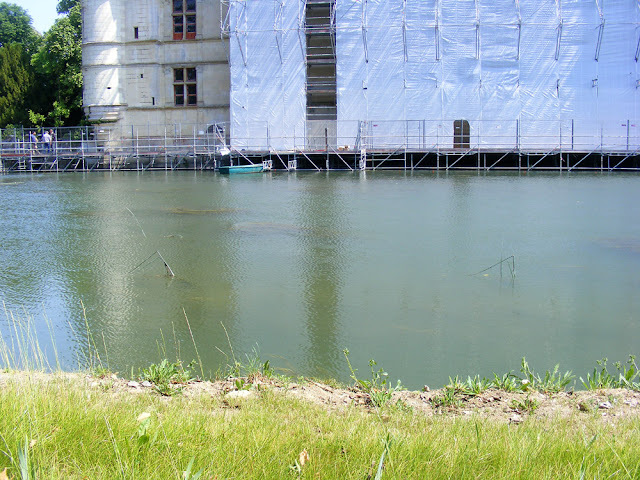 I notice that they have planted bulrushes in the pond, presumably in acknowledgement of the restoration of Philippe Lesbahy's bedroom with its rush matting wallcoverings. 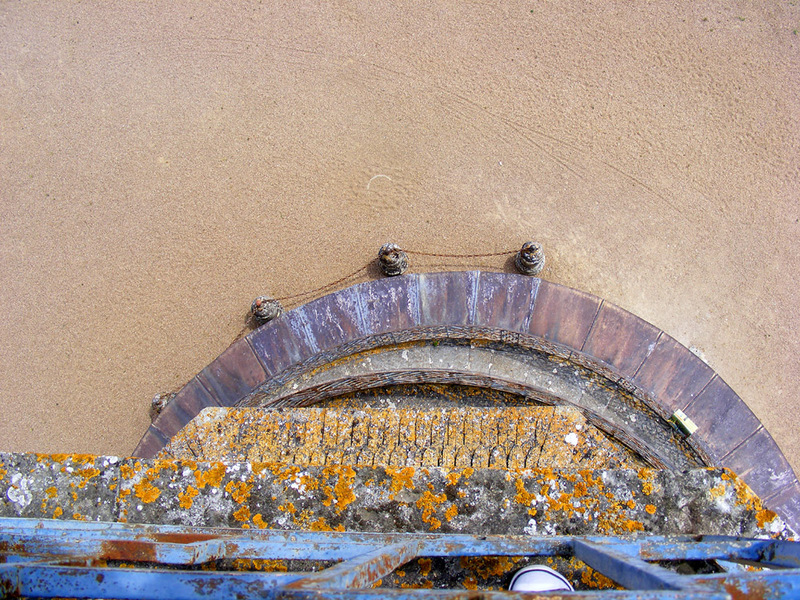 Olivier examines each stone carefully, checking if lichen is causing damage and needs to be removed or treated. His objective is to save as much original stone as possible and slow down further damage. Around him other teams of specialists are checking lead finials and treating wood. 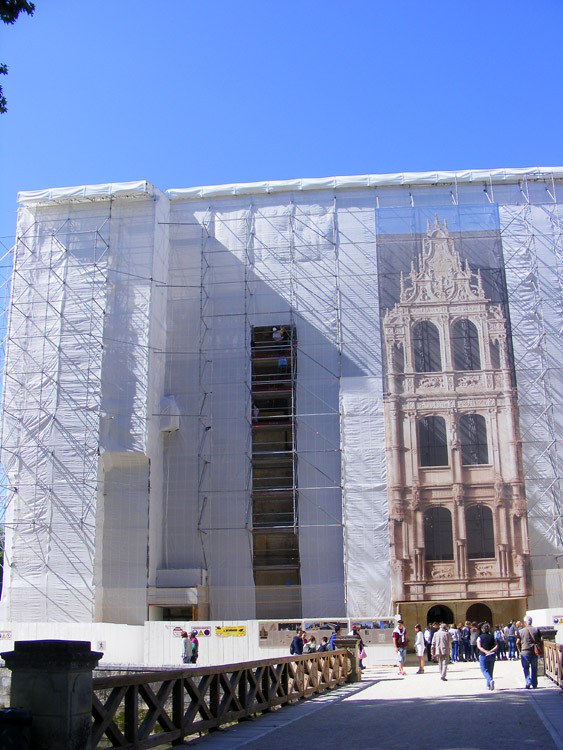 It's a huge restoration job. Scaffolding across the front of the building, with a lifesize photo of the staircase printed on the protective screening.The screening also forms a weatherproof 'umbrella'. Chrystelle notes that these artisans carry a particularly French know-how and present it to the world (she is, after all, a self-confessed 'child of Colbert'...) This work is also a means of ensuring these highly skilled individuals can earn a living. 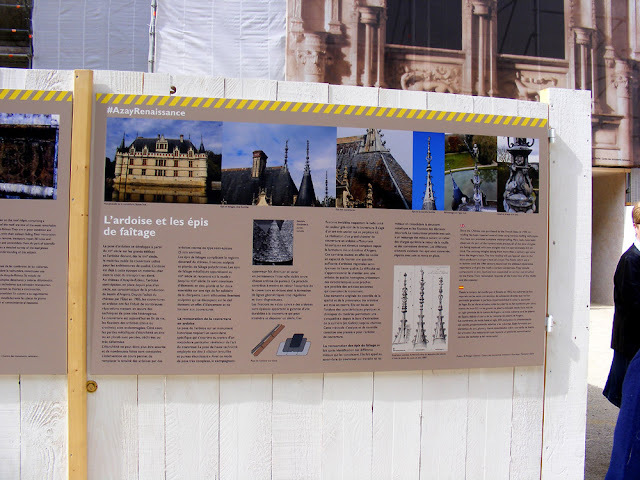 Explanatory panel at the base of the chateau, talking about the slates and finials. 4125 m² of stone repointed. 35 m³ of new oak carpentry. 1838 m² of new roof. I calculate that this means the roof alone (excluding carpentry) will cost at least €130 000. 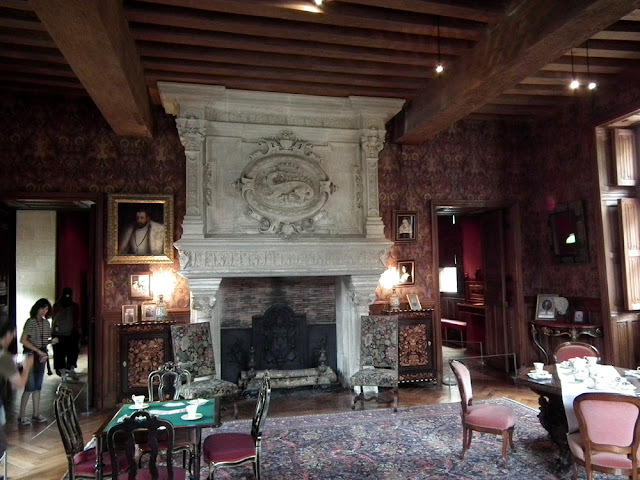 The Biencourt's sitting room, as it was a few years ago. Once the exterior is completed the next project is to improve the 19th century rooms on the ground floor. These rooms acknowledge the legacy of the Biencourt family, the last private owners of the chateau. In the next 2 years over a hundred objects from the CMN archive stores will be heading for Azay. Crockery and cookware owned by the Biencourt family will return to their old home and portraits from the 16th century hung to partially reinstate the family's collection. Textiles from the period will be conserved and rehung too, to return the feel of the rooms to how they were in the past. A highlight will be the velvet curtains set with gold lilies, with which these rooms were dressed at the time. Article about the restoration in La Nouvelle République newspaper (in French). My birthday party ten years ago was unusual, in that I don't know it was going to happen, I only knew one of the people there, and even once I was there I had no idea what was going on. 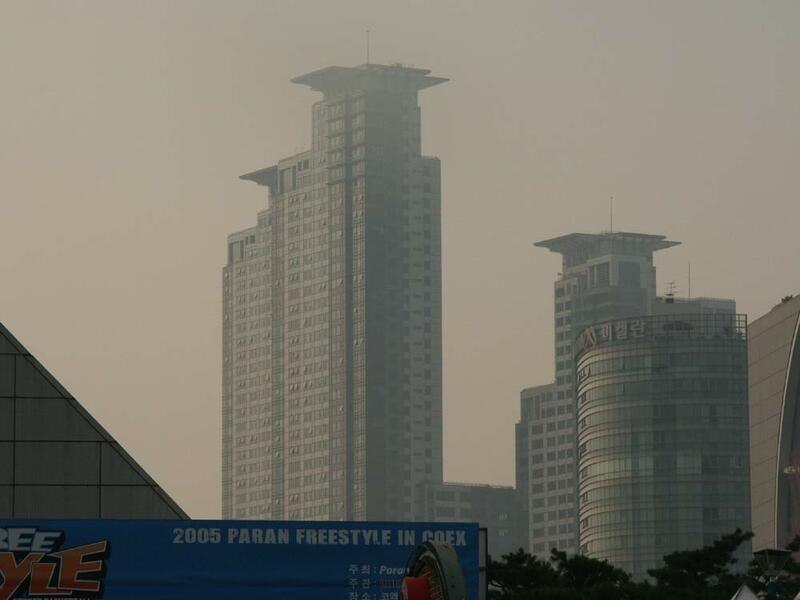 Oh - and it was in Korea. I had arrived in Korea the day before to spend a month teaching English to junior school kids at a summer school. I had never done anything like that before (which caused a huge attack of "what the hell do I think I am doing" a couple of days before I left) and really knew nothing about Korea except that I had enjoyed the 10 hours I was there in transit a couple of years earlier. My Chinese friend Benson, who I had met whilst temping in London, had married a Korean girl and had moved to Seoul to live with her family. He emailed me and said "hey, if you're unemployed over summer, why not come and teach". I said yes before thinking it through, as is my wont, and 2 months later I was in the most polluted, crowded, hot and mystifying place I had ever been. Anyhow - the day after I arrived in Korea, Benson rang me and said "it's your birthday, we're going out" and organised his wife and her best friend to accompany us. Over the evening I learnt about using both hands whenever you pass something to someone, how to sit on the floor to eat, wrapping your little pieces of BBQ meat in a little parcel of leaves, and allowing yourself to be fed: I mean literally - because it was my birthday the ladies took it in turn to wrap meat for me, and pop it in my mouth. Afterwards we went to a soul club and ordered a big fruit platter and some beer - It is very non-q to drink without having food on the table. As I said - not your usual birthday party! 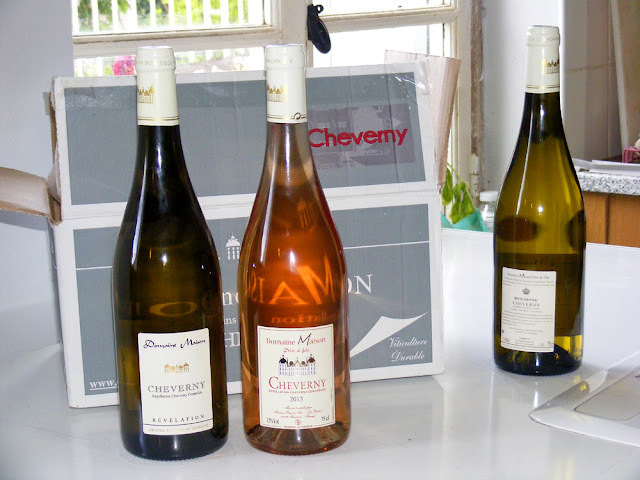 Johann Spelty represents the fifth generation of his family to be winemakers in Cravant les Coteaux, one of the most highly regarded villages in the Chinon AOC. The estate was originally 40 ha, but over the generations the French inheritance practice of equal shares to all children have whittled Johann's portion down to 15 ha. 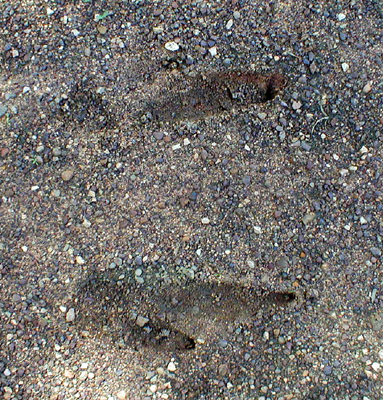 He grows cabernet franc, mostly on deep gravelly soil, but he also has a terrace of flinty clay. The estate is in the process of converting to certified organic. The harvest is done manually and takes about a week. Johann makes a lot of half serious remarks when you go for a tasting session about how visitors would be welcome back at harvest time to work. He doesn't get a lot of visitors to the estate and my impression is that he would like to see more (not necessarily for the harvest really, but coming for a tasting session and ideally, buying). The grapes are macerated for 3 - 4 weeks for the alcoholic fermentation, using only the yeasts naturally occuring on the grape skins. Then the liquid is allowed/encouraged to undergo malolactic fermentation. 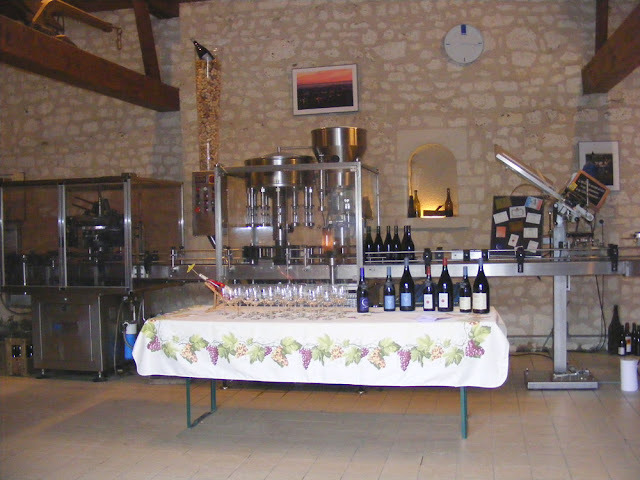 Sulphites are used judiciously and the wine is filtered. Johann's bottling plant, with temporary table for a tasting session set up in front. Johann produces 80 000 bottles a year. Most are sold to restaurants, some to independent wine shops. Absolutely none are sold to supermarkets and he bridles at the very idea. 2014 Chinon Rosé Le Chic, €6/bottle: a charming rosé with 2.5g of residual sugar. Johann believes that many Chinon makers produce rosé that is too dry and acid. His approach is to leave enough sugar to round the wine off. There is no sensation of sweetness, just a well balanced wine. 60% of the cabernet franc grapes used to make this wine go in the press whole, but this doesn't give him the colour he wants. He increases the pressure at the end and blends with 40% which have been macerated with their skins to add colour. Each winemaker has a particular colour they want to achieve. Making rosé is quite a technically precise process and Johann will be up at midnight checking the colour during the early stages. 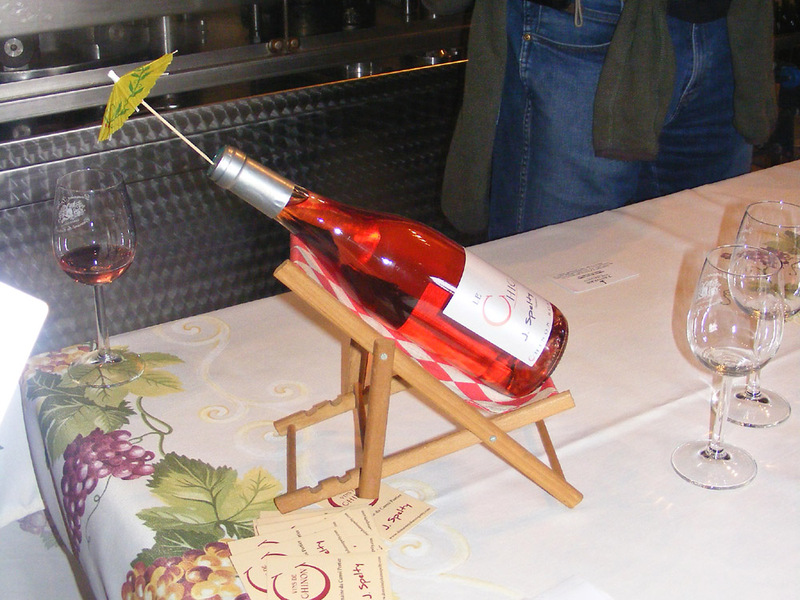 Rosé tends to be darker in the south west, and a very pale 'onion skin' in the south. Johann (on the right) with Robert Boutflower from the UK wine merchant Tanners. 2013 Les Folies, €6.70/bottle: this was a very tricky vintage. Initially the vines put on a lot of growth, but on 9 June there was a hail storm and the vines were 30 - 90% stripped of their leaves and tendrils. At that point there were tiny grapes the size of peppercorns which were also stripped. This sort of damage, with its risk of fungal outbreak, is very difficult to treat. It was followed by 90 mm of rain, making the situation much worse, and he resorted to treating the grapes individually with a back pack of fungicide. He lost 50% of the expected harvest and this wine is less fruity, with more tannin than he would have liked. A little sulphite was added at the beginning to prevent oxidation. Because the vines lost so many leaves photosynthesis was impeded. There weren't enough leaves left to provide the energy to properly develop the remaining grapes. A severe hail storm like this in June is too late for the grapes to recover and replace the leaves. If it happens in September the grapes are at peak growth and the vines can cope. The risk at this later time of the year is direct damage to the grapes either splitting or getting fungal diseases. 2009 Graviers, €9.50/bottle: The Graviers wine is made from grapes grown on the gravelly soil, giving a less fruity table wine with weight and roundness -- a serious wine. 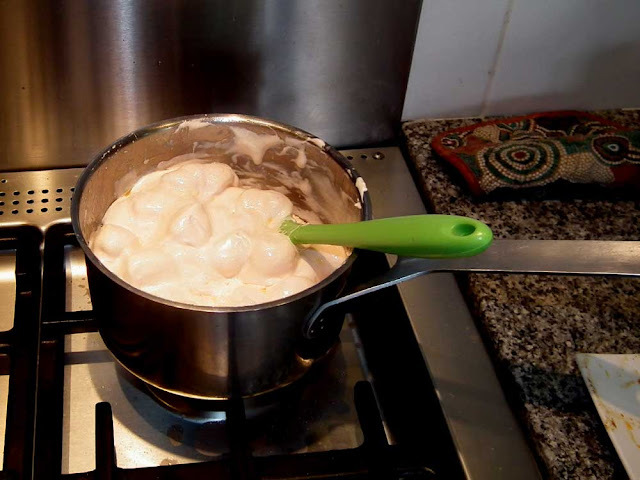 The fermentation is controlled by immersible paddles which both heat and stir the juice. He has returned to using stainless steel vats for this one because of their small surface area and the level of control he can get now. He keeps a portion of this wine back each year in the Spanish tradition as it is better when aged. He feels it will be ready at the end of 2015 and he will release the 2009 in 2016. It will go well with red meats and strong cheeses. Johann believes that winemakers should allow the wine to express itself, it should not be forced. He is especially critical of the widespread practice of thermovinification, but notes that new consumers in the market are causing a change in wine tastes (I assume he means the Chinese here). He comments that mature wines are rarer and rarer these days and there is a tendency to drink vintages too young, especially with Chinon. Too many winemakers are cutting corners to reach 'drinkability' too quickly. He cites thermovinification and micro-oxidation as the two main culprits. You can identify a thermovinified wine by its banana nose apparently. 2009 Clos de Neuilly, €10.50/bottle: Grown on pure limestone this is a classic Saint Nicolas de Bourgeuil or Chinon style wine, a little sweeter than the Graviers. The wine is not made in barrels, which give too big a surface area, concentrating the wine and making it more intense, but not more rounded. Instead Johann uses either stainless steel or cement tanks, which are epoxy lined for ease of cleaning. Johann's way of telling you that his rosé is for relaxing summer holidays. 2005 Graviers, €15/bottle: In 2005 there was no frost and lots of sun. This wine has spent 30 months in cement tanks. It is fresh, woody, garnet coloured, not faded. It is only available if you know to ask for it -- he keeps it as a treat for his local and loyal customers. He says it is to give them an idea of what is possible, a flagship product, only available if you visit the estate. 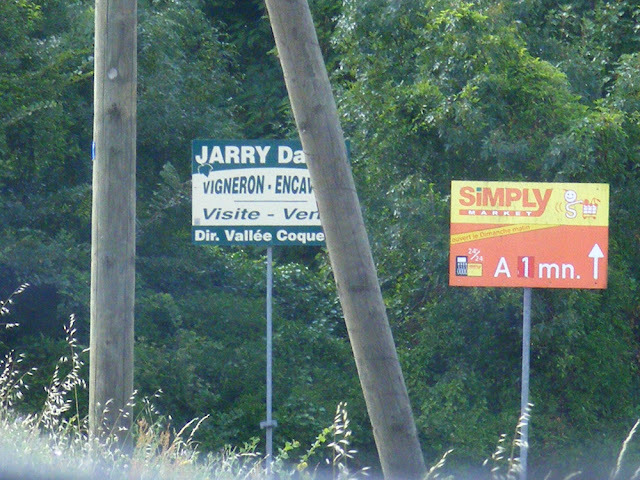 From July 13 roadside billboards are no longer allowed in rural France, whether they are on public or private property. 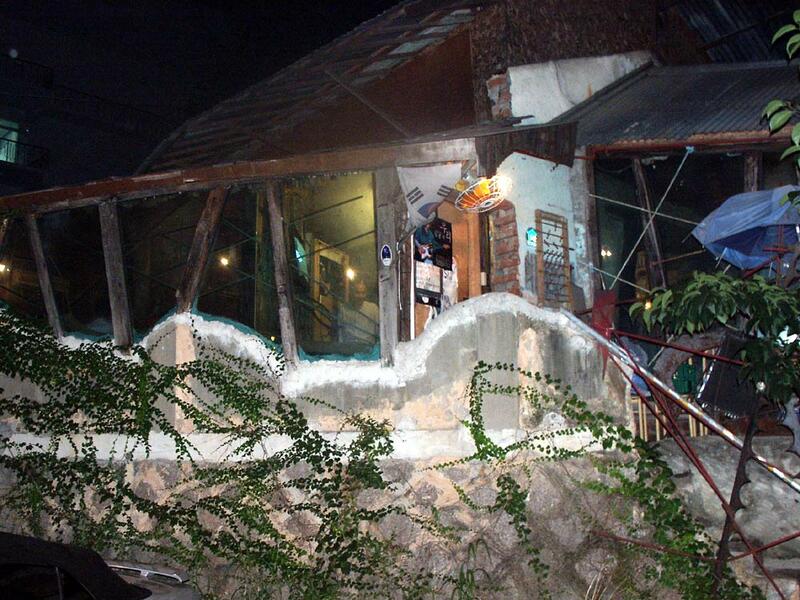 Businesses had until that date to remove them, but they don't seem to be rushing to comply. 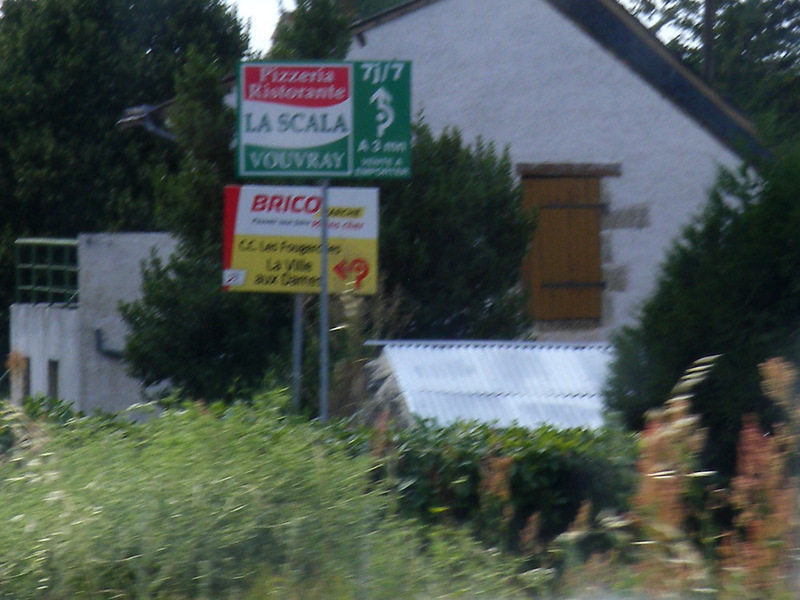 I photographed all of these signs on the Loire levee bank between Amboise and Vouvray on 13 July. They obviously don't expect the late penalty of €203 per day per panel to be applied. The law applies specifically to rural roads and small towns and villages. Not everyone is convinced that removing the billboards is a good thing. Some local tourism officials feel it puts out of the way communities at a disadvantage if they are not visible from the road. The law is the result of lobbying by various organisations concerned with the appearance of transport routes and streetscapes. Whilst they are happy to have had a victory they cynically acknowledge that the only reason they won was because these small rural billboards are not big business. The real fight, they know, will be big urban digital advertising hoardings. Locally, Chambray les Tours will be the place receiving the most on going scrutiny by these groups. Luckily, the local council seems to be sympathetic, already having introduced rules limiting the size of billboards. 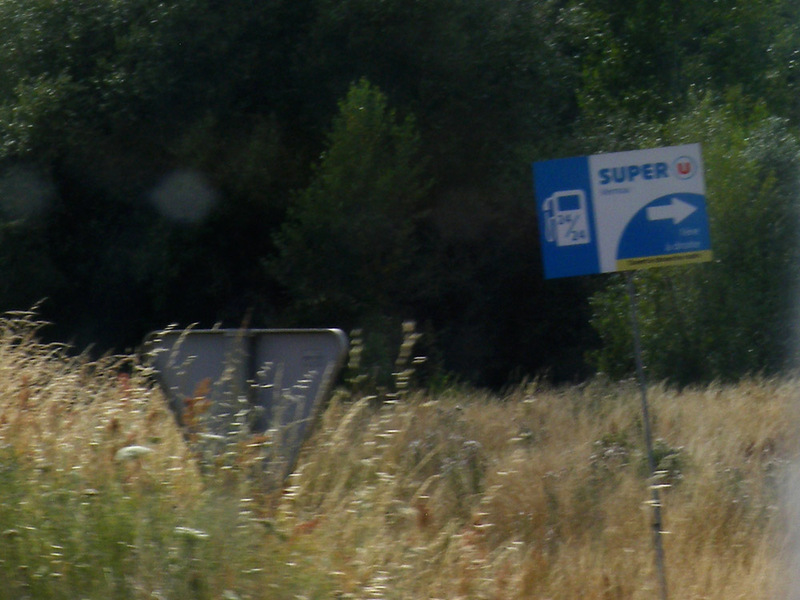 The local associations fighting for the removal or reduction of such advertising are perfectly aware that the prefecture will only act to enforce the law if they continue the pressure to improve the look of not just the countryside but commercial areas too. Apparently Langeais at any rate has taken it seriously and has had a blitz on these rural billboards, removing 60 illegal advertisments. From July 13 the only signs allowed on roadsides in rural areas or within the boundaries of municipalities of under 10 000 population will be for local products, cultural activities (shows, exhibitions, educational activities) or historic sites open to the public. Previously supermarkets, garages, hotels, restaurants and service stations could get permission to erect a billboard because they were providing useful information to travellers. However, the feeling now is that they have abused the system. The Simply sign is now illegal, but not the winery sign I assume. 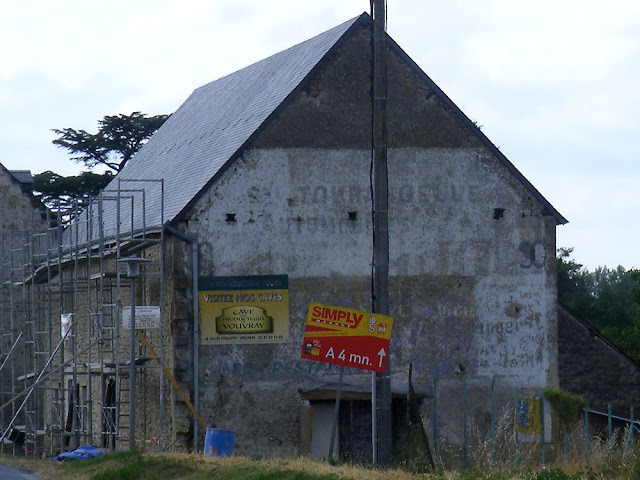 This is not the first time billboards have been banned in France, and the painted ghost signs on buildings date from a time when they were seen as a more acceptable form of roadside advertising. Ironically, the ghost signs now enjoy a certain amount of heritage protection, occasionally being listed as historic monuments in their own right or carefully restored. 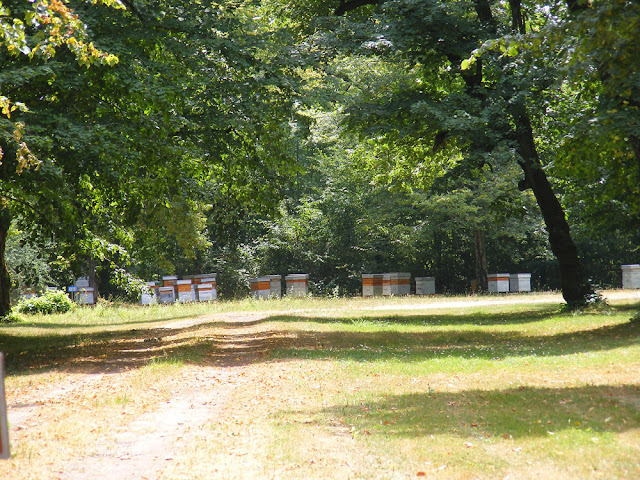 I photographed these bee hives in early July on the edge of the Forest of Amboise, just off the entrance alley to the Pagode de Chanteloup. The beekeeper may have placed them there to take advantage of the Linden Tilia sp flowers in May - June. The allée now used to access the Pagoda is lined with linden trees. Linden honey is one of my favourites -- not very dark but quite strongly flavoured, with the merest hint of amertume (bitterness) to counter the douceur (sweetness). 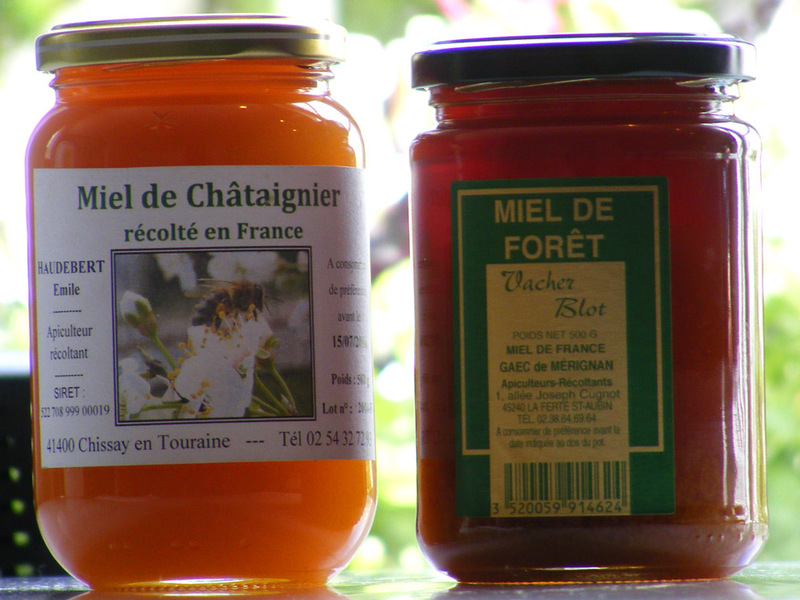 Local chestnut honey on the left, forest honey on the right. On the other hand, the beekeeper may have been more interested in the Sweet Chestnut Castanea sativa in the forest, flowering June - July. It makes an equally high quality honey. The small twisted leaf in the centre has a gall. It should be the size and shape of the leaf to the right of it. 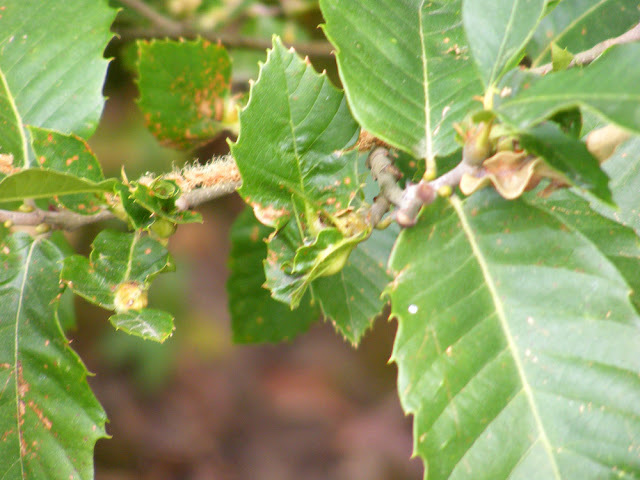 Sadly, the Oriental Chestnut Gall Wasp Dryocosmus kuriphilus has arrived in France. 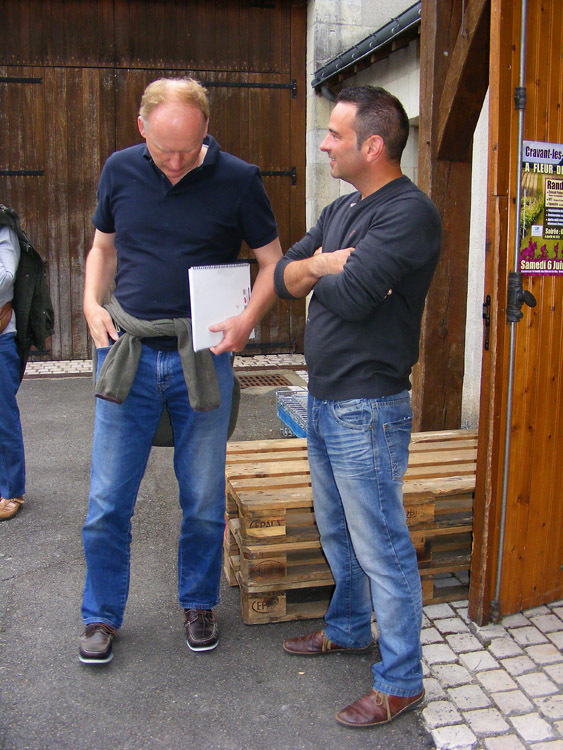 François Botté showed me the evidence when we were conducting a botanical survey of a site near Sepmes just recently. (More on that later if I get time -- the site is adjacent to the new high speed rail line and is part of a compulsory scheme to mitigate environmental damage caused by the LGV works.) The wasp affects the trees' production of flowers and fruit, reducing the quantity of honey and chestnuts harvested by as much as 70%. 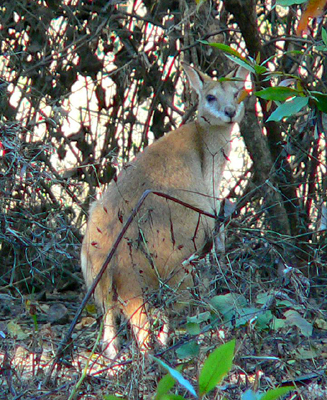 This Agile Wallaby Macropus agilis was photographed lurking about in the bushes at Bitter Springs in the Northern Territory of Australia. They are the most abundant species of wallaby in the north of Australia and can be identified by the black rim to the ears, the black forehead stripe, white cheek stripes and a white stripe aross the thigh. Etienne-François, Duc de Choiseul -- "a wonderful mixture of selfishness and charm and recklessness and exquisite taste" as Horace Walpole described him. And despite the fact that he was not considered handsome, a real ladies' man. A favourite of Mme de Pompadour's, he rose to be Louis XV's right hand man, but after the death of the royal mistress, his enemies, who included the new royal mistress, Mme du Barry, engineered his fall from grace. In 1770 the King banished him to his estate at Amboise, the Chateau of Chanteloup. He promptly set about accelerating an ambitious plan to agrandise the park with water features, follies and forest rides. At the same time he entertained generously and all his friends from court defied the King and came down to see him. Looking from the pagoda entrance down what was once the long canal, now reduced to a sunken lawn. When he died in 1785 he had amassed huge debts of around 2 million livres (the pagoda alone cost 40 000 livres, a comfortable income at the time was 2000 livres per annum). His beautiful and charming young wife scrupulously discharged all the debts and lived quietly in obscurity for the rest of her life. Despite the fact that she adored him and was regarded as an absolute paragon of womanhood by all his contemporaries, Choiseul ignored her for most of their married life and carried on numerous affairs over the years. The mahogany staircase on the first floor. Now the pagoda and its semi-circular pond are almost all there is left of this high octane lifestyle. The chateau was demolished and sold off as architectural salvage in 1823. We only have the ghosts of the vistas created with the pagoda at the centre. 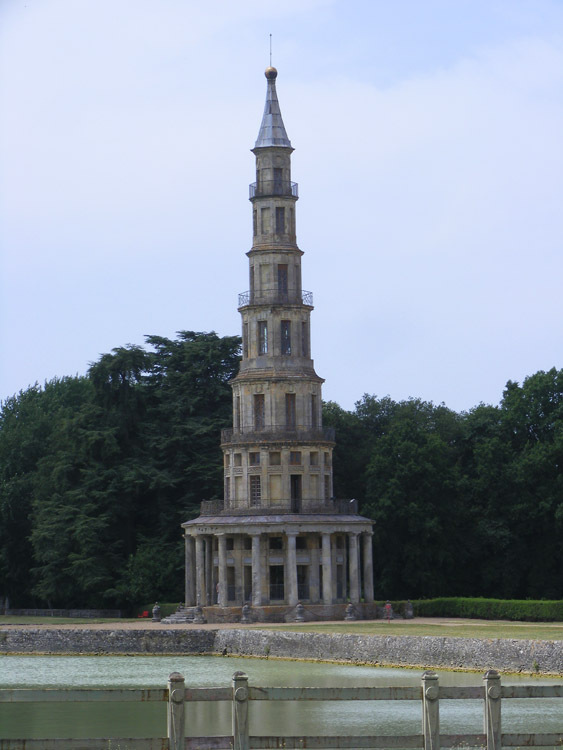 The anglo-chinois style pagoda was built in 1775 as a monument to all his loyal friends. It served as a quirky place to look out over the estate and wider countryside and sometimes to observe hunts in the forest. 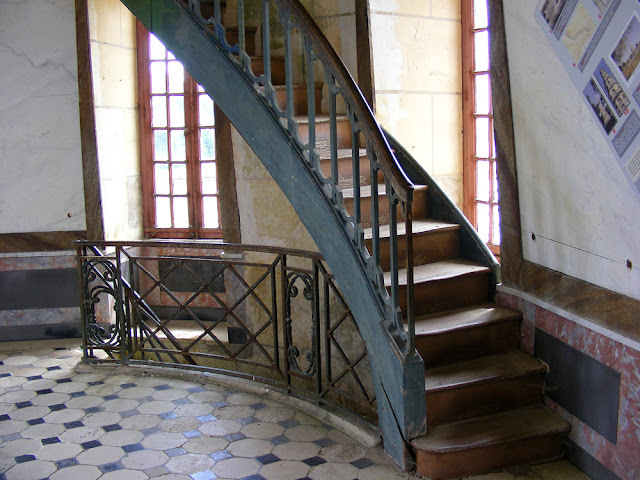 The seven levels are accessed by an increasingly narrow mahogany staircase which winds its way up between the floors. 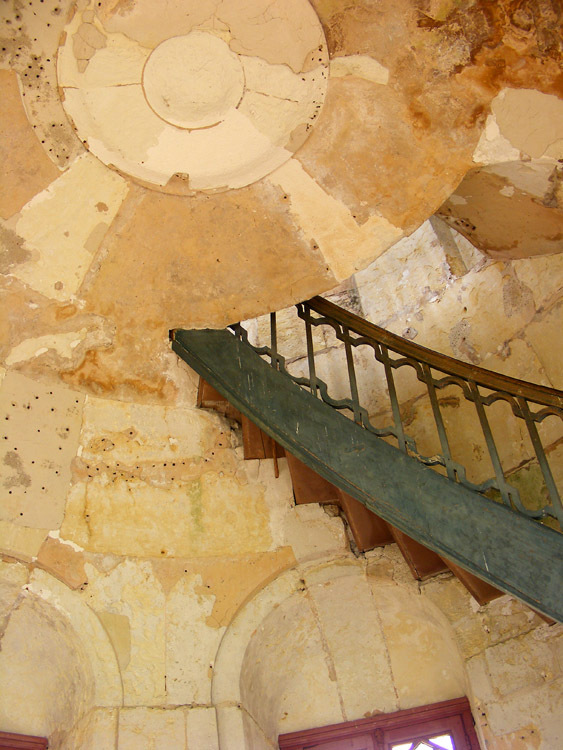 Each level has a domed ceiling and balconies which you can step out onto to take in the view. The gardens once covered an area of more than 3000 ha and were originally designed to emulate Versailles. Just as at Versailles, supplying the place with sufficient water to run the water features proved problematic and involved some improbable engineering schemes. Later the Duke was captivated by the trendy anglo-chinois style and the gardens were transformed from the rigid formality of the French garden to the sinuous exotic naturalism of the anglo-chinois. 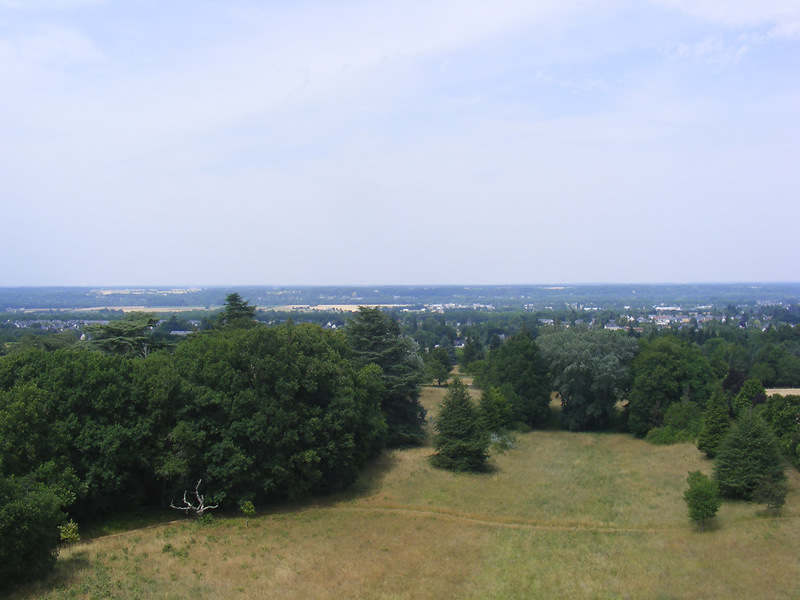 Looking from the top of the pagoda towards the outskirts of Amboise and the Loire. 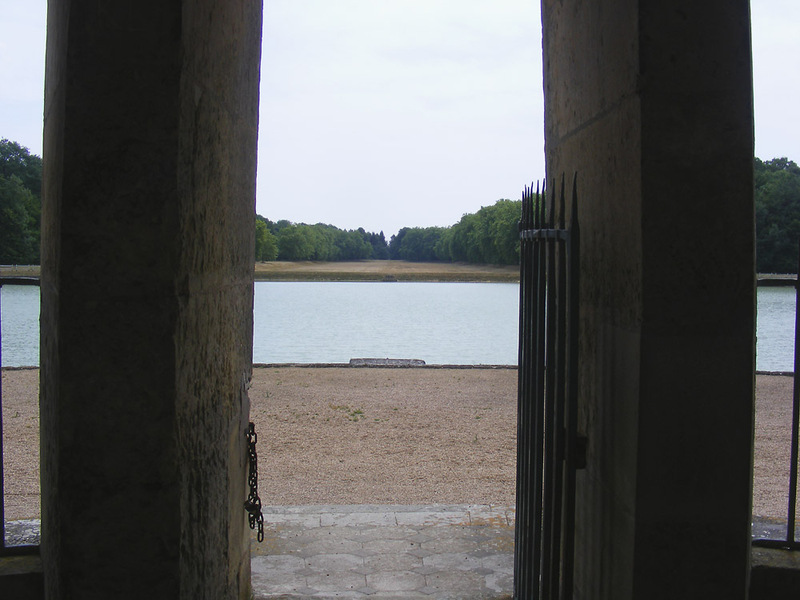 Once there would have been a large classical style chateau and beyond that a gilded wrought iron gate in the view.